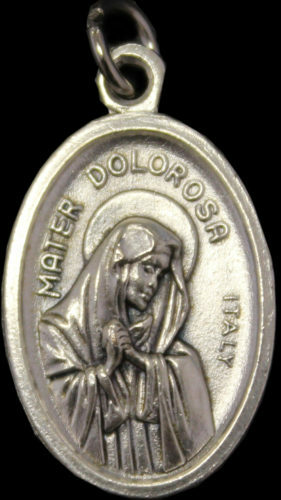 Silver-tone medal. Mater Dolorosa on front, Christ as Man of Sorrows on reverse side. 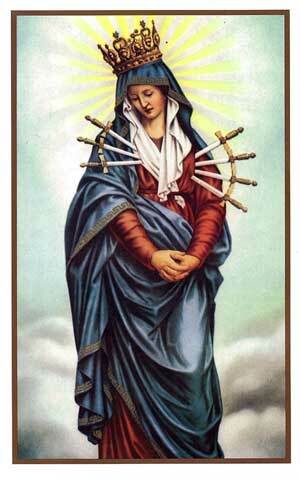 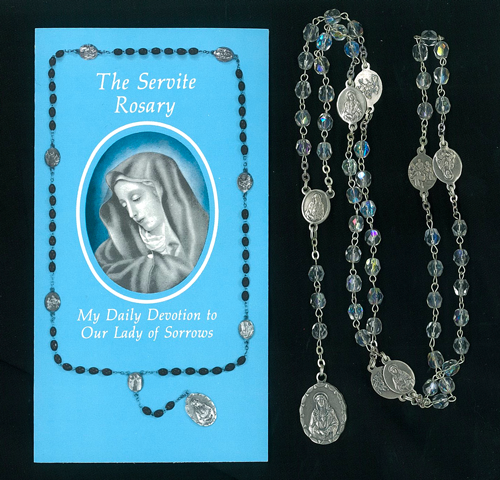 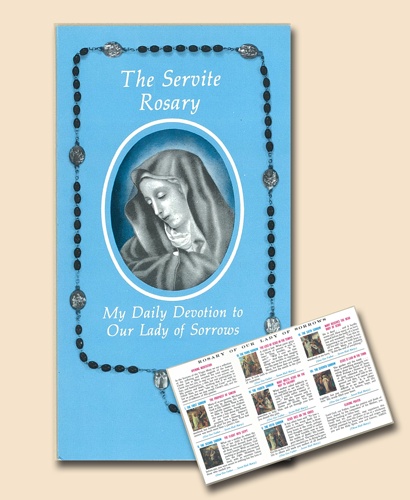 Comes affixed to a card with a prayer to Our Lady of Sorrows. 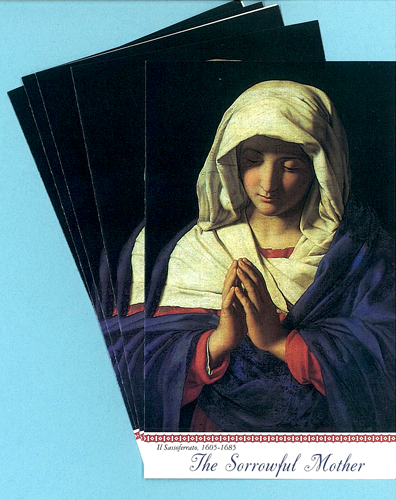 5/8 X 7/8 inches.